When Melanie is not busy creating a unique signature design, you’ll find her traveling and studying art and architecture to provide clients with new inspiration. 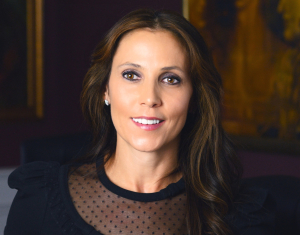 Since starting MDK Designs in 2003, Melanie has created countless residential and commercial interior design plans that focus on unique concepts with superior functionality. Melanie possesses a BA in business from Northeastern University and she studied design at the Boston Architectural Center. Her passion for interior design and architecture is evident in her creative and timeless designs. Your space is viewed as a blank canvas by Melanie, as she listens intensely to the vision you are trying to create for your home or office space. After meeting with you, Melanie will help bring your blank canvas to life by using various textures, exquisite colors, unique finishes, decorative patterns and home decor accessories you won’t find anywhere else. As much as Melanie loves being an interior designer, her dedication and commitment to clients is what really stands out. Her innovative design solutions are tailored to meet the needs of each client individually. Melanie designs interior spaces that emphasize function, beauty and balance. The environments she creates have been referred to as intimate, cozy, soothing, warm, comfortable, inviting, elegant, relaxed and most of all wonderful to live and work in everyday. Her company, MDK Designs provides services relating to all aspects of interior design from pre-construction to placement of the last decorative accessory.